The word “SHRI” has multiple and expanded connotations. 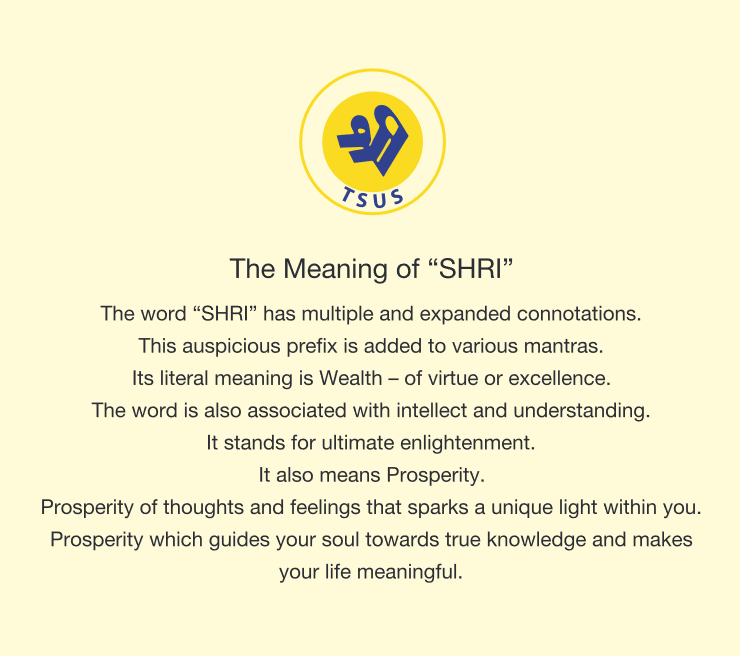 This auspicious prefix is added to various mantras.Its literal meaning is Wealth – of virtue or excellence. The word is also associated with intellect and understanding. It stands for ultimate enlightenment. Prosperity of thoughts and feelings that spark a unique light within you. Prosperity which guides your soul towards true knowledge and makes your life meaningful.